Add a little more form and function to your garage without breaking the bank with these garage makeover ideas. Sure, a garage’s primary purpose is to house your car. Yet, it can serve many other functions – it can be used as a mudroom, a working space for building things, a storage space to keep seasonal decor and clothing, even a special space to practice a hobby like music or pottery. If you’re one of those people who doesn’t want their garage to just be a utilitarian space, then maybe these 14 garage makeover ideas will inspire you to add pizzazz to your garage. Garage doors give you a perfect space to flaunt your unique personality and style, especially if it is situated on the front of your house. One of the best ways to boost your garage area is by adding a DIY pergola that will showcase your green thumb. It’s spring, so all the more perfect to house your beautiful climbing vines and blooms. I’m sure in no time your garage door area will be full of wonderful spring blooms that will be the envy of your neighborhood. Acid stain, garage tiles, epoxy, –these are just a few options if you want to give your garage floor a marvelous look without losing an arm and leg. A bright bold paint color and a beautiful DIY rug provide simple yet interesting accents for garage floors. All you need to breathe some life to your garage is a fresh coat of paint. Choose a bold color that refreshes or bright hues that make you happy. Or if you want a bit of a country touch on your garage wall, you can opt to use pallets to cover the wall. Soon enough, your garage will no longer look like a parking space but a highlight of your home’s aesthetic. Mudrooms are the one space of the house where you leave pretty much anything that you don’t want inside the house. But it often requires a space of their own. A bench to sit on while taking off shoes, hooks, cubbies, cabinets and a painted door create that instant mudroom space and welcoming aura for your garage. Looking for an easy way to keep your bicycles organized? 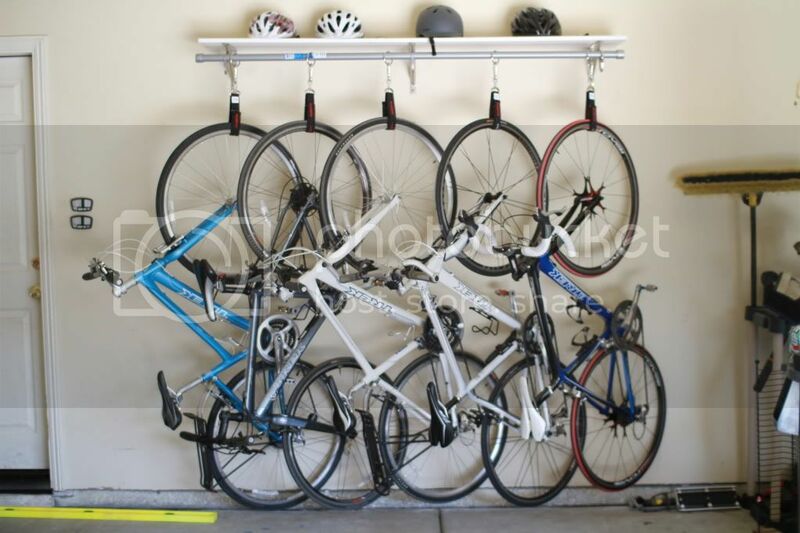 This simple shelf, rod, or hook storage idea is a great solution to win back garage floor space, plus you can even store your bikes paired with its helmet. If you enjoy DIY-ing, you can simply build your own bicycle storage rack. If your kids love being active, more often than not you’ll find their sports equipment all over your garage floor. Instead of storing them in huge bins (which eats up too much valuable space) you can opt for wall storage using a bungee cord. You’ll need: nails, spare wood, and bungee cords. Install 3 pieces of wood (creating a “U” shape) from the top to bottom areas of the wall. Customize it to your desired storage height. Create a barrier to keep the sporting goods in place by hooking 4-5 bungee cords from the wooden ledges. The bungee cord’s flexibility will provide easy access to your sporting goods. 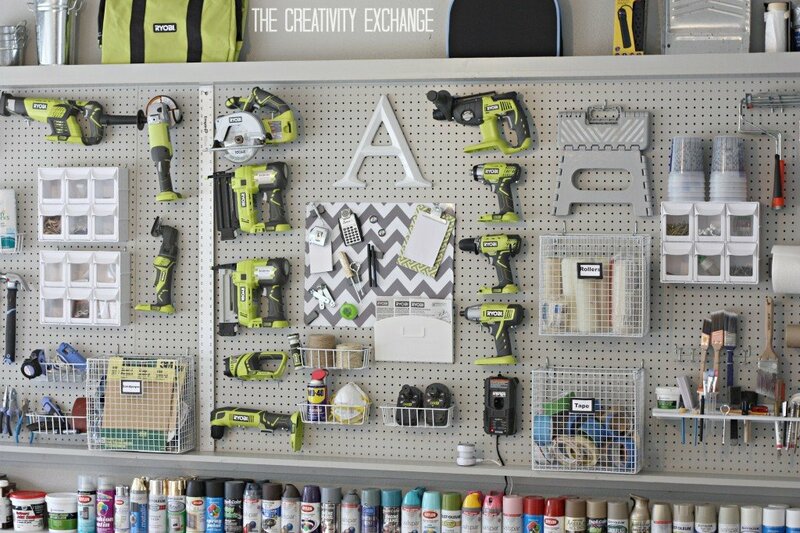 If you are an organization fanatic, you’ll find all kinds of joy with your empty garage wall and lots of pegboards. A very simple storage idea – of hanging wire baskets to keep tools in place, and utilizing empty mason jars to hold little tools, provide a place for everything and keep everything organized. Take advantage of your garage ceiling space by installing overhead storage shelves. This space is perfect for storage totes, crates, or boxes of unused belongings, such as clothes and decorations. As a homesteader, I love gardening, but sometimes space is an issue when it comes to growing plants. 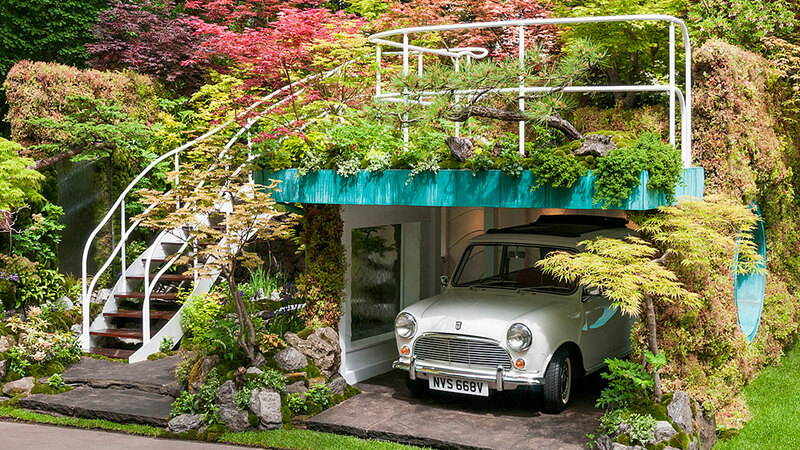 Did you ever think that instead of storing clutter, your garage could be transformed into a garden oasis to house both your car and plants? It may look a little overwhelming, but you have to admit it’s a pretty inspiring and clever idea. If you have the luxury of space, you can go ahead and transform your garage into an inviting family room. A cozy fireplace and a few comfortable touches will readily accommodate your need for a great family time. You probably won’t remember what your old garage looked like! If your hobby or your husband’s hobby needs a workshop, the garage is one perfect place where you can create one. Choose a specific wall space where you store all your gardening gear. You can even add a DIY pallet workbench to make all the work easier. To a DIY lover, craft-aholic, an antique collector, or to a homesteader who wants to earn a little extra money by selling homemade products, a vacant garage is an ideal place to establish a shop for your fabulous creations, wonderful finds, and delicious homemade goodies. Your merchandise is all the decor you need, so it’s just a matter of arranging it well. It’s a sure winner because you’re saving time, money, and energy by not transporting your stock, and you get to work from home. Kids are always hyper and active. They definitely need room to move around and use up all that energy! 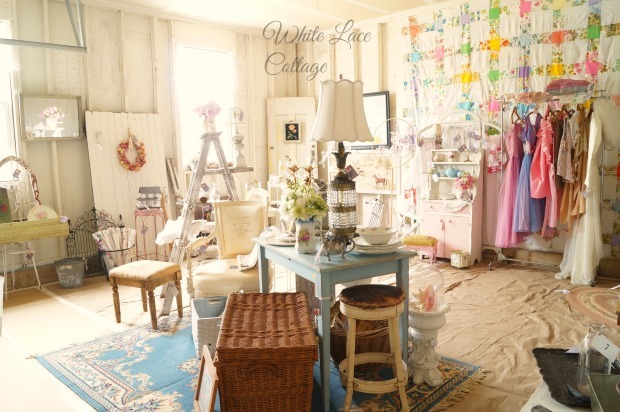 A garage turned into a cheery playroom become a happy and safe haven where they can exercise their imagination and practice their hobbies. Consider extending your dining or kitchen area out into the garage for added working space. Just think of all the extra room you’ll have for canning, baking, and meal preparation! If you want to achieve a cohesive look, make sure the space has just one or two focal points. A successful homestead garage makeover is one that’s seamless! A garage can definitely be transformed into a more functional and sophisticated space. Leave no wasted space with any of these ideas that can be had for cheap if you get creative with materials and labor! You’ll soon be on your way to a more beautiful and functional garage. What do you think of these garage makeover ideas? Which one will you apply to your own garage? Let us know in the comments below. Want to know how spruce up your homestead? Take it easy with these 5 Ways to Spruce Up the Homestead. I’m sure after these your homestead will become the talk of the town!